When will be The Manns next episode air date? Is The Manns renewed or cancelled? Where to countdown The Manns air dates? Is The Manns worth watching? 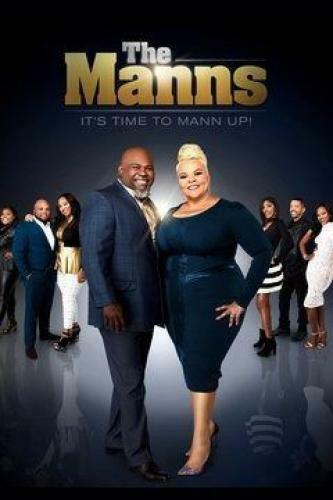 TV One welcomes David and Tamela Mann to the network as they embark on a new chapter and give viewers a glimpse into the drama, intrigue, faith and laughter that will ensue in their new reality docu-series called The Manns. The Manns have delighted and inspired audiences through a string of Tyler Perry plays and movies, as well as the television series, Meet The Browns and Mann & Wife. The new show will reveal the often hilarious and sometimes controversial interactions between David and Tamela, their four grown children, eight grandchildren and a slew of friends, extended family and other characters that enrich the lives of the entertainment power couple. With recording careers, touring, filming and managing an outrageous family, The Manns often find themselves negotiating from the conference table to the kitchen table while showing viewers the day-to-day challenges, successes and joy that happen behind the scenes with this beloved couple who has been married for 29 years. Frustrated with the handling of the family business, David Sr. calls on an outsider to come in and shake things up. As this year's Mann Games arrives, it's every MANN for themselves. Tamela prepares for her upcoming tour, but between that and juggling a chaotic schedule, she discovers a bump in her throat. The Mann clan hit the road for their tour and try to generate some momentum; back at home Tia adapts, post-surgery. The Manns next episode air date provides TVMaze for you. EpisoDate.com is your TV show guide to Countdown The Manns Episode Air Dates and to stay in touch with The Manns next episode Air Date and your others favorite TV Shows. Add the shows you like to a "Watchlist" and let the site take it from there.